My Mom recently asked me to help design an invitation for the grand opening of the new firehouse building at the North River Arts Society, where she is the president. 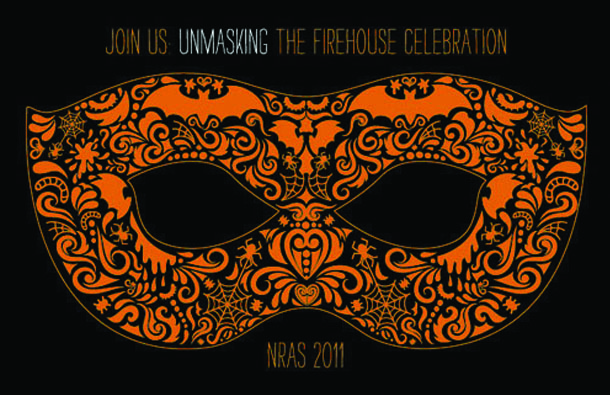 The event is a halloween-themed masquerade and she wanted the invite to serve multiple purposes — as an invite, and as an actual mask for those who don’t want to have to go out and get one on their own. So, this is what I came up with. Happy (early) Halloween! Thanks again, Rachael. There were lots of people that wore your mask. It was a hit. Loved it. Great job Rachael! I love it!